Wild Willy's & GDS Food Services, LLC. is committed to respecting the privacy of our users. We strive to provide a safe, secure user experience. This Privacy Statement sets forth the online data collection and usage policies and practices that apply to our Web Site. By using Wild Willy's & GDS Food Services, LLC., you consent to the policies and practices described in this Statement. Your data will be stored and processed in whole or in part in the United States. If you access Wild Willy's & GDS Food Services, LLC. outside the United States, your usage of this site constitutes consent to the transfer of your data out of your country and to the United States. Our site contain links to other Web sites over which we have no control. Wild Willy's & GDS Food Services, LLC. is not responsible for the privacy policies or practices of other Web sites to which you choose to link from Wild Willy's & GDS Food Services, LLC. We encourage you to review the privacy policies of those other Web sites so you can understand how they collect, use and share your information. This Privacy Statement applies solely to the information we collect on Wild Willy's & GDS Food Services, LLC., and does not apply to information we collect in any other fashion. In some areas of our Web site, Wild Willy's & GDS Food Services, LLC. requests or may request that you provide personal information, including your name, address, e-mail address, telephone number credit card number, social security number, contact information, billing information and any other information from which your identity is discernible. In other areas, Wild Willy's & GDS Food Services, LLC. collects or may collect demographic information that is not unique to you such as your ZIP code, age, preferences, gender, interests and favorites. Sometimes we collect or may collect a combination of the two types of information. Examples of areas on Wild Willy's & GDS Food Services, LLC. where we collect personal or combined personal and demographic data are pages where you can open a Wild Willy's & GDS Food Services, LLC. Employer or User Accounts, sign up to use a service, post a resume, enter a contest or purchase a product. In addition, Wild Willy's & GDS Food Services, LLC. may indirectly collect information about you when you use certain third party services on our Web site. Such information will be subject to, and treated in accordance with, the policies and practices described in this Statement. We also gather or may gather certain information about your use of our site, such as what areas you visit and what services you access. Moreover, there is information about your computer hardware and software that is or may be collected by Wild Willy's & GDS Food Services, LLC.. This information can include without limitation your IP address, browser type, domain names, access times and referring Web site addresses. Wild Willy's & GDS Food Services, LLC. may sometimes afford you the opportunity to provide descriptive, cultural, behavioral, preferential and/or life style information about yourself, but it is solely up to you whether you furnish such information. If you do provide such information, you are thereby consenting to the use of that information in accordance with the policies and practices described in this Statement. For example, such information may be used for the purpose of determining your potential interest in receiving email or other communications about particular products or services. Please remember that if you post any of your personal information in public areas of Wild Willy's & GDS Food Services, LLC., such as in online forums or chat rooms, such information may be collected and used by others over whom Wild Willy's & GDS Food Services, LLC. has no control. We are not responsible for the use made by third parties of information you post or otherwise make available in public areas of Wild Willy's & GDS Food Services, LLC. Use of Information by Wild Willy's & GDS Food Services, LLC. We use the information we gather on Wild Willy's & GDS Food Services, LLC., whether personal, demographic, collective or technical, for the purpose of operating and improving the Wild Willy's & GDS Food Services, LLC. Web site, fostering a positive user experience, and delivering the products and services that we offer. We may also use the information we gather to inform you of other products or services available from Wild Willy's & GDS Food Services, LLC. or its affiliated companies or to contact you about your opinion of current products and services or potential new products and services that may be offered. We may use your contact information in order to send you e-mail or other communications regarding updates at the Wild Willy's & GDS Food Services, LLC. site, such as new Wild Willy's & GDS Food Services, LLC. opportunities and additional listings which may be of interest to you. The nature and frequency of these messages will vary depending upon the information we have about you. We do not disclose to third parties your personal information, combined personal and demographic information or information about your use of a Wild Willy's & GDS Food Services, LLC. Web site (such as the areas you visit or the services you access), except as set forth in the following four subparagraphs. We may disclose such information if legally required to do so, if requested to do so by a governmental entity or if we believe in good faith that such action is necessary to: (a) conform to legal requirements or comply with legal process; (b) protect the rights or property of Wild Willy's & GDS Food Services, LLC. or its affiliated companies; (c) prevent a crime or protect national security; or (d) protect the personal safety of users or the public. We may disclose and transfer such information to a third party who acquires all or a substantial portion of Wild Willy's & GDS Food Services, LLC. 's business, whether such acquisition is by way of merger, consolidation or purchase of all or a substantial portion of our assets. In addition, in the event Wild Willy's & GDS Food Services, LLC. 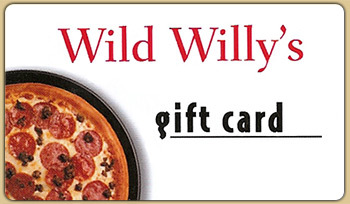 becomes the subject of a bankruptcy proceeding, whether voluntary or involuntary, Wild Willy's & GDS Food Services, LLC. or its trustee in bankruptcy may sell, license or otherwise dispose of such information in a transaction approved by the bankruptcy court. Wild Willy's & GDS Food Services, LLC. may also share aggregated anonymous information about visitors with its affiliates, clients, partners and other third parties so that they may understand the kinds of visitors to Wild Willy's & GDS Food Services, LLC. 's site and how those visitors use the site. Wild Willy's & GDS Food Services, LLC. supplies technology, hosting and related services to other companies to power recruitment areas on their Web sites (sometimes referred to as "private label recruitment areas"). Personal and/or demographic information supplied by you in private label recruitment areas becomes part of the Wild Willy's & GDS Food Services, LLC. database, but it is not accessible by anyone other than you, Wild Willy's & GDS Food Services, LLC. and the company concerned without your consent. Wild Willy's & GDS Food Services, LLC. uses "cookies" to help personalize and maximize your online experience and time online. A cookie is a text file that is placed on your hard drive by a Web page server. Cookies are not used to run programs or deliver viruses to your computer. Cookies are uniquely assigned to your computer, and can only be read by a Web server in the domain that issued the cookie to you. You may have the ability to accept or decline cookies. Most Web browsers automatically accept cookies, but you can usually modify your browser setting to decline all cookies if you prefer. Alternatively, you may be able to modify your browser setting to notify you each time a cookie is tendered and permit you to accept or decline cookies on an individual basis. If you choose to decline cookies, however, that may hinder performance and negatively impact your experience on the Wild Willy's & GDS Food Services, LLC. Web site. Wild Willy's & GDS Food Services, LLC. Web pages may contain electronic images known as Web beacons (sometimes called single-pixel gifs) that allow us to count Users who have visited those pages and to deliver co-branded services. Web beacons are not used to access your personally identifiable information on Wild Willy's & GDS Food Services, LLC. ; they are a technique we use to compile aggregated statistics about our Web site usage. You may review, correct, update or change your information at any time. Simply contact us or send a email requesting to have the information updated. If you opted to receive newsletters, commercial e-mails or other communications from Wild Willy's & GDS Food Services, LLC. or third parties at the time you registered with Wild Willy's & GDS Food Services, LLC., but subsequently change your mind, you may opt-out by editing your information as described above. If you previously opted not to receive such communications, you may later opt-in by editing your information. Wild Willy's & GDS Food Services, LLC. has implemented reasonable technical and organizational measures designed to secure your personal information from accidental loss and from unauthorized access, use, alteration or disclosure. However, we cannot guarantee that unauthorized third parties will never be able to defeat those measures or use your personal information for improper purposes. Wild Willy's & GDS Food Services, LLC. uses a service company to process its credit card transactions. When you place an order online at Wild Willy's & GDS Food Services, LLC., your credit card information is protected through the use of encryption, such as the Secure Socket Layer ("SSL") protocol. SSL makes it difficult for your credit card information to be intercepted or stolen while being transmitted. If we decide to change our Privacy Statement for Wild Willy's & GDS Food Services, LLC., we will post those changes here so that you will always know what information we gather, how we might use that information, and to whom we will disclose it. If at any time, you have questions or concerns about Wild Willy's & GDS Food Services, LLC. 's Privacy Statement, please feel free to email us at wildwillysvw@embarqmail.com. We welcome your comments concerning this Privacy Statement. If you believe that we have not adhered to this Statement, please contact us by e-mailing us at wildwillysvw@embarqmail.com We will use commercially reasonable efforts to promptly determine and remedy the problem. Thank you for using Wild Willy's.